The Pathos Acoustics Inpol2 is the latest creation from Pathos, so-called because in the design Pathos presents the 2nd generation of their proprietary INPOL® technology. It is also a completely balanced dual-mono configuration – easily recognized by the styling. INPOL®, which carries a worldwide patent and gave birth to the multi-award winning products TT and InPower, has undergone advanced evolution. 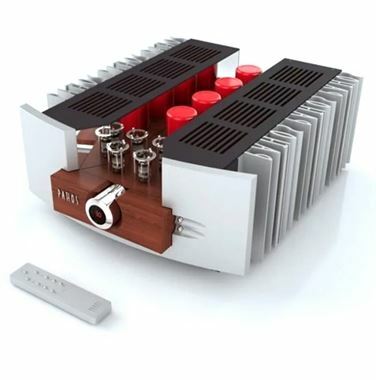 The Pathos INPOL 2 is a unique amplifier in many aspects and its sound quality will simply astound. The overall sound of the INPOL2 is no less than stunning in its detail and involvement and is as close to the top of the range InPower and InControl as possible. The musical, rich and warm sound from the tubes combined with the pace and dynamic from the mosfets results in excellent performance. It is easy to discern that this is an INPOL amplifier due to the absence of listening fatigue combined with transparency, presence, the enormous soundstage and the capability of reproducing all instruments realistically – all the factors of true high fidelity.